Chef Pang of Antoinette is in a roll after the introduction of La Croissainterie Series and Baked Cheese Tart. 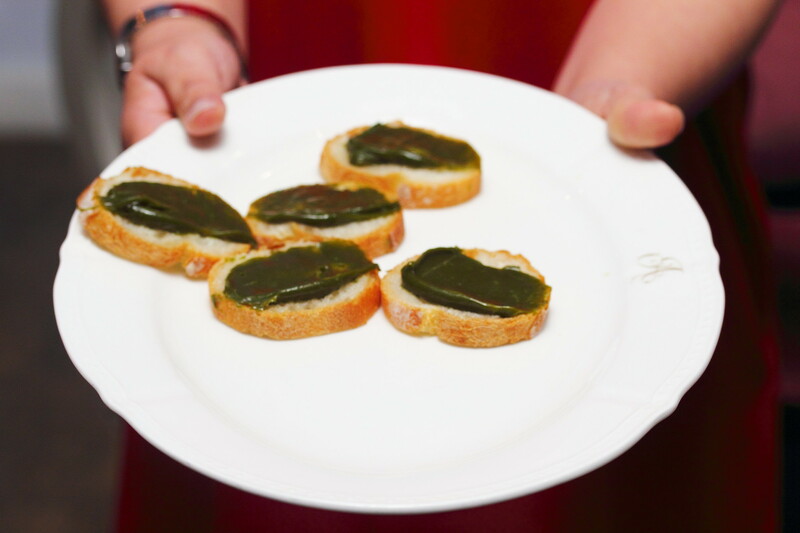 From now to end July 2016, Chef Pang rolls out 22 matcha items creating the ultimate experience for matcha lovers, satisfying their fetish for the green tea powder from Nishio, Japan. Basically the 22 matcha are break into 5 main categories, namely Bakery/Confectionery, Hot Items, Cakes/Macarons, Chocolat and Beverages. 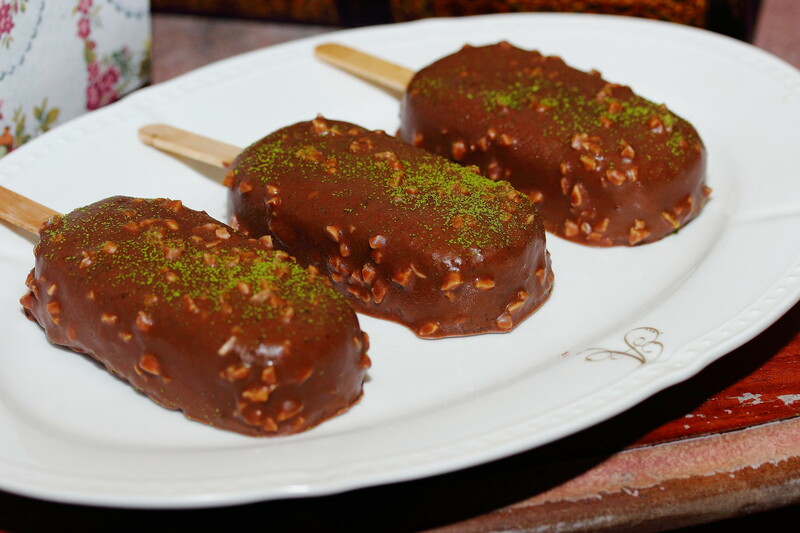 From the Bakery/Confectionery, we have 7 creations. 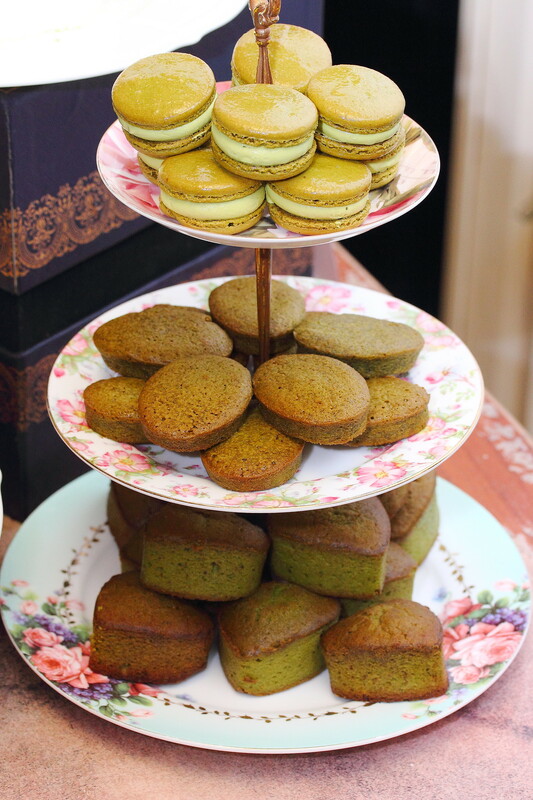 They are namely Matcha Financier ($2.50), Match Cake ($3), Matcha Orange Almond Tuile ($9), Matcha Almond Shortbread ($2.50), Matcha Croissant ($6) and Matcha Milk Jam ($9). The Hot Item probably is the highlight of the Fetish Matcha. 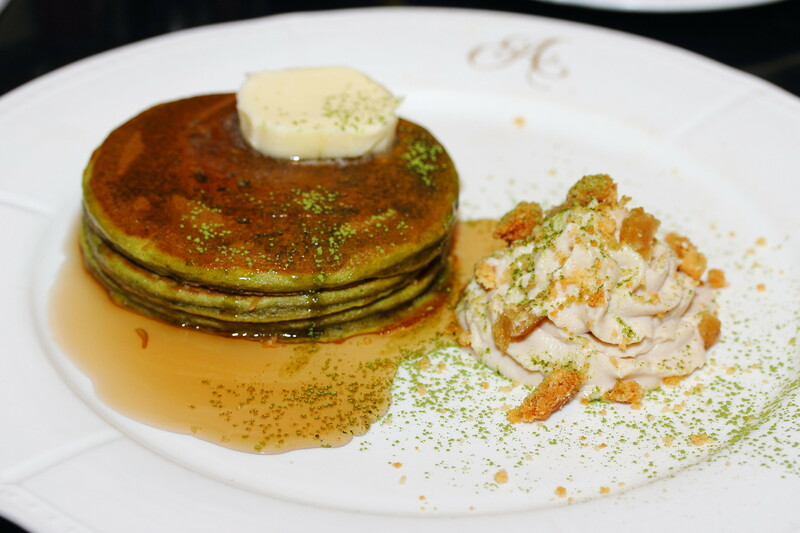 It features dishes such as the Matcha Pasta ($26), Matcha Crepe ($18), Matcha French Toast ($16) and Matcha Pancake ($15). 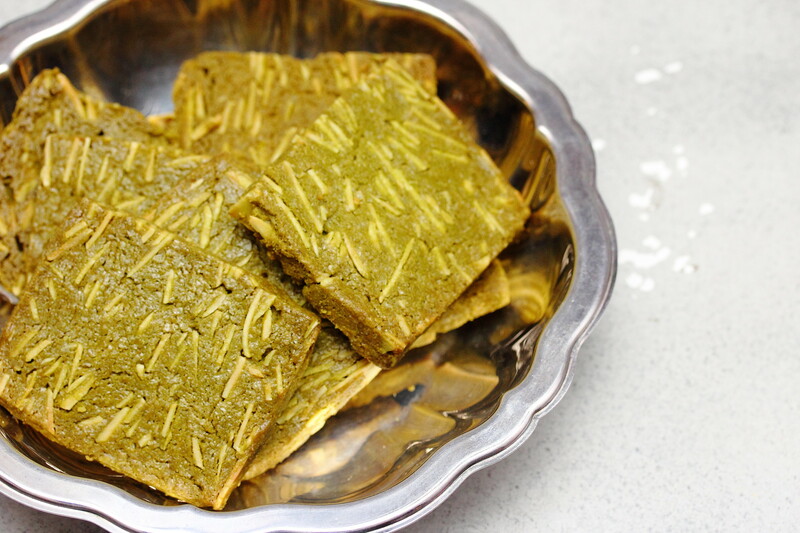 The Matcha Pasta is an unexpected creation from Antoinette. 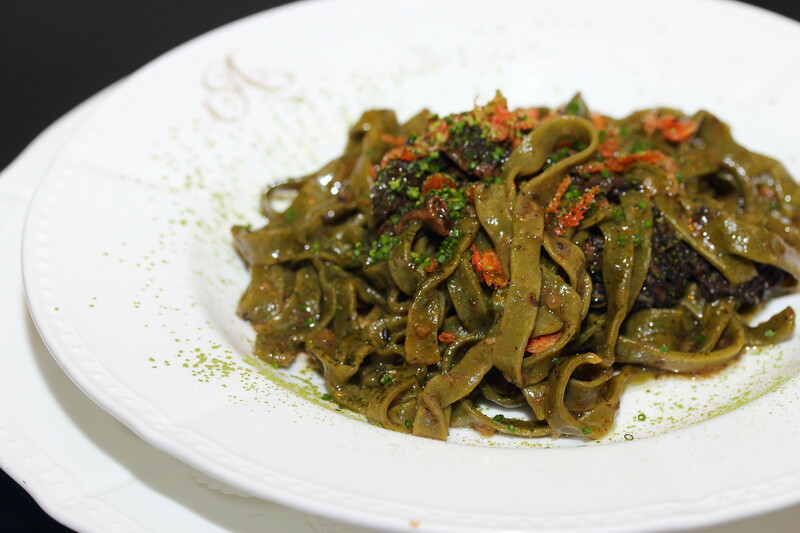 The matcha infused pasta is tossed in a truffle paste and topped with salted kombu and sakura ebi. Cooked to al dente, it comes with a delectable bite. 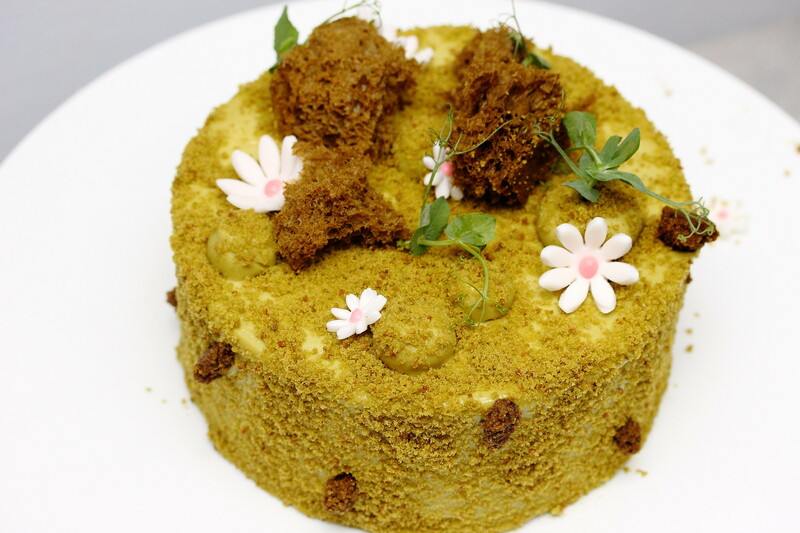 It does not have the powdery matcha taste but beautifully perfumed by the truffle and sakura ebi. 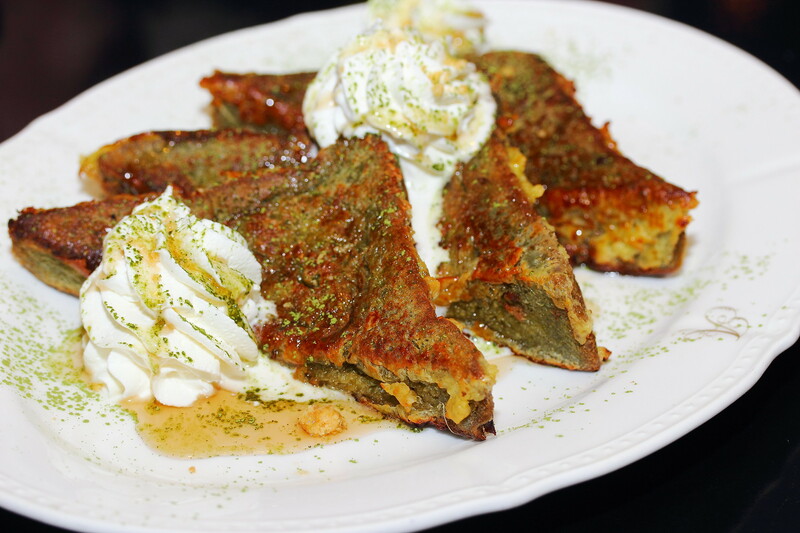 The Matcha Crepe and French Toast are another two creations that will delight many. 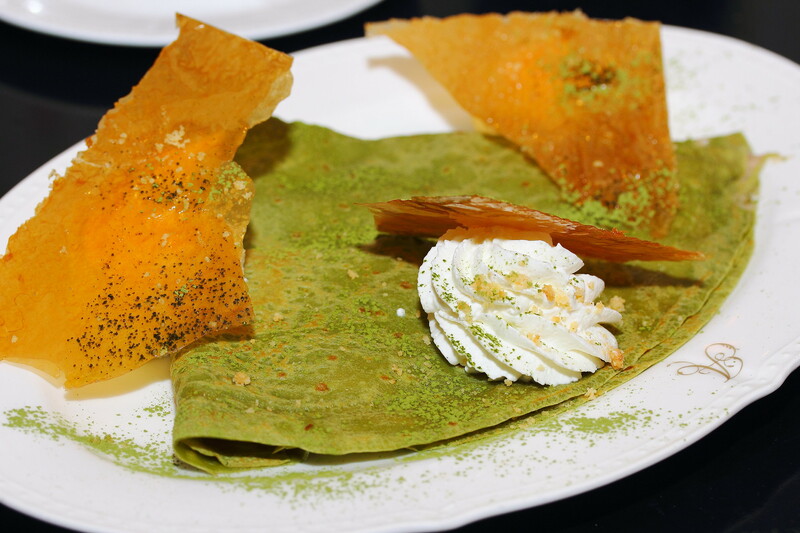 The Match Crepe paired with French chestnut cream and vanilla Chantilly is thin and soft, with a mochi like texture. The French Toast, using brioche bread is paired with vanilla Chantilly and maple syrup for a pillowy and sweet finish. 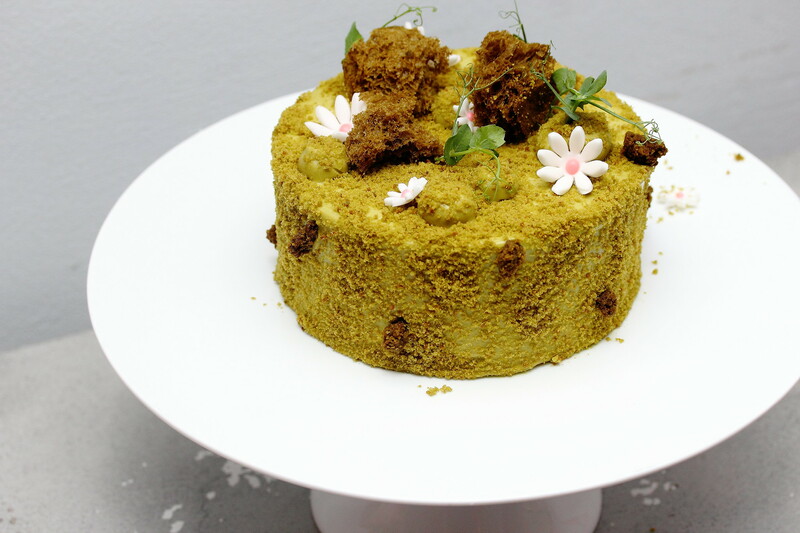 The Yucha is a matcha butter cake layered with matcha creme mousseline and yuzu curd which is sugar free. 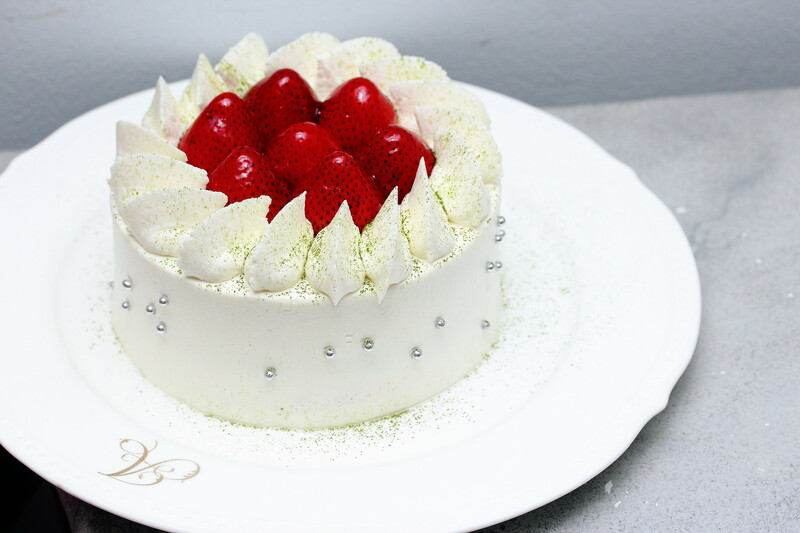 The Matcha Strawberry Shortcake is a light matcha sponge cake with kirsch layered with fresh strawberries and creme Chantilly. Both cakes are light and moist. 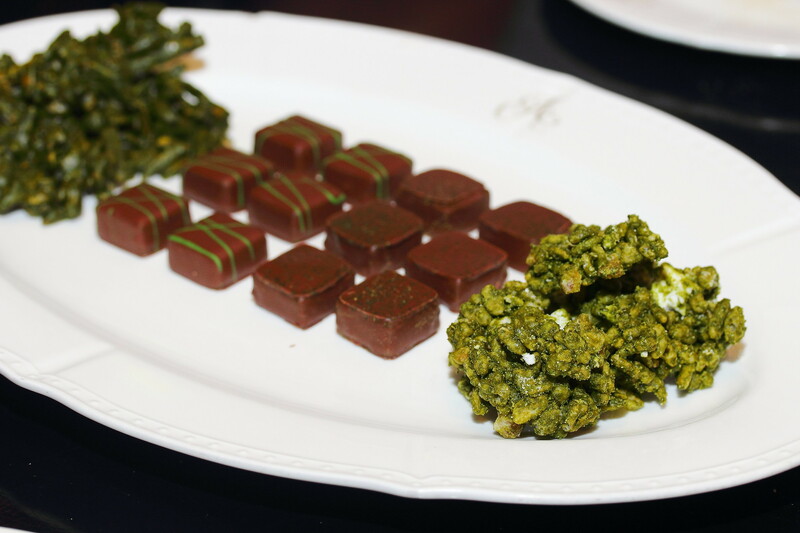 The Chocolat section offers additive snacks such as the Matcha Chocolate Rice Crispies with Marron Glace, Matcha Swiss Rocks, Matcha Truffle and Yucha. 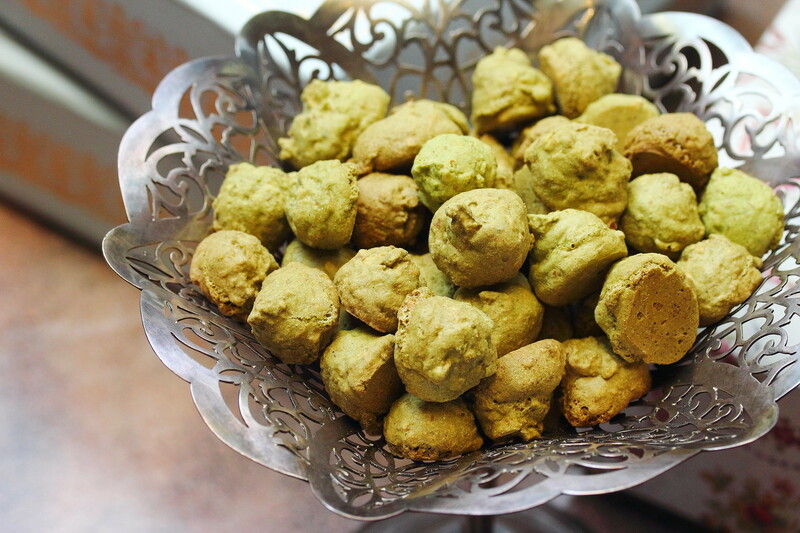 If it is possible, I would have love to stock up my home with the Matcha Swiss Rocks, lightly caramelized almond silvers enrobed in matcha chocolate. 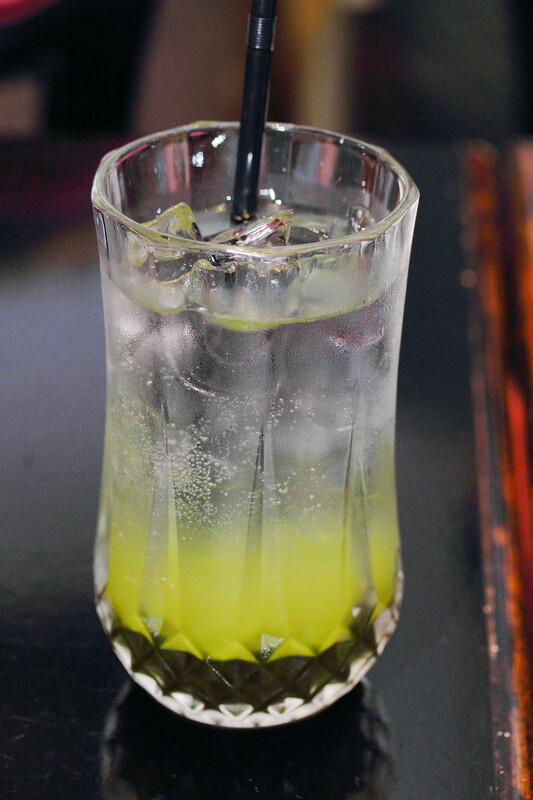 Lastly the Beverages section which offers Matcha Soda ($22), Matcha Yuzu Lychee Iced Tea ($12.50) and Matcha Latte ($22). The first two drinks are served cold and refreshing. The Matcha Latte is kind of spectacular. 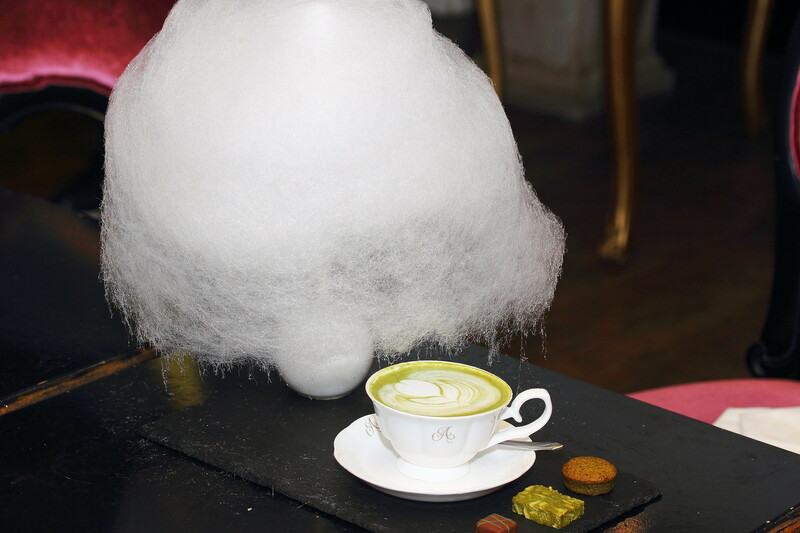 The cup of matcha latte is served below a raining cloud of cotton candy together with almond cookie, matcha truffle and matcha financier. Can't handle all 22 items? Why not gather 4 people and indulge in the La Carte Fetish Matcha ($190++) where your friends and you can get to try all 22 matcha items on the menu. Kindly note that some items will be for sharing in the La Carte Fetish Matcha and this is only available at Penhas outlet. If you are a matcha lover, don't miss it as it is only available until end of July 2016.